The Estes Lauder Companies Inc.
With over 750 qualifying companies, fill out the form below to see if you qualify. Yes, you read that right. 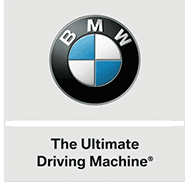 Our BMW dealership is offering a fantastic program for drivers in Bloomfield, NJ. The corporate affinity program; BMW gives qualified employees (executive level) of massive corporations bonus and credits towards purchase or leasing a BMW ranging from $250 to 1000 dollars. Sounds too good to be true? Visit our team to find out more information! The professionals at our Bloomfield dealership want to help you secure the best BMW you can find. We're offering this exclusive corporate deal so that qualified individuals can enjoy amazing credits and bonuses on the new BMW cars they've been eyeing. Contact our team to learn more about this amazing offer in Bloomfield, NJ.